There are two things that should be at every kid’s birthday celebration- a pinata and a party hat. If it’s a first birthday, I’ll make an exception for the pinata. After all, the baby will probably have some difficulty with a pinata. But that leaves lots of room for the party hat. 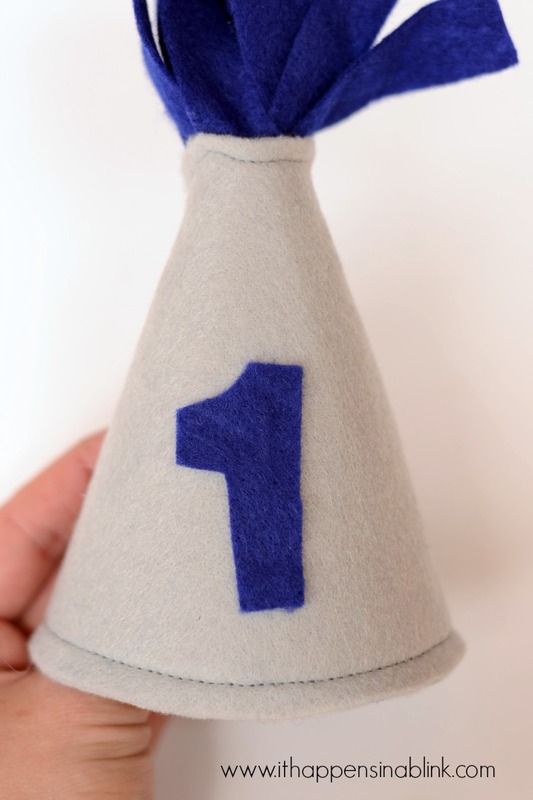 Today, I have a fun DIY Felt First Birthday Hat pattern and tutorial for you. This mini hat is perfect for a party or just for fun photos. I made this one to send to a friend’s baby in a First Birthday in a Box. 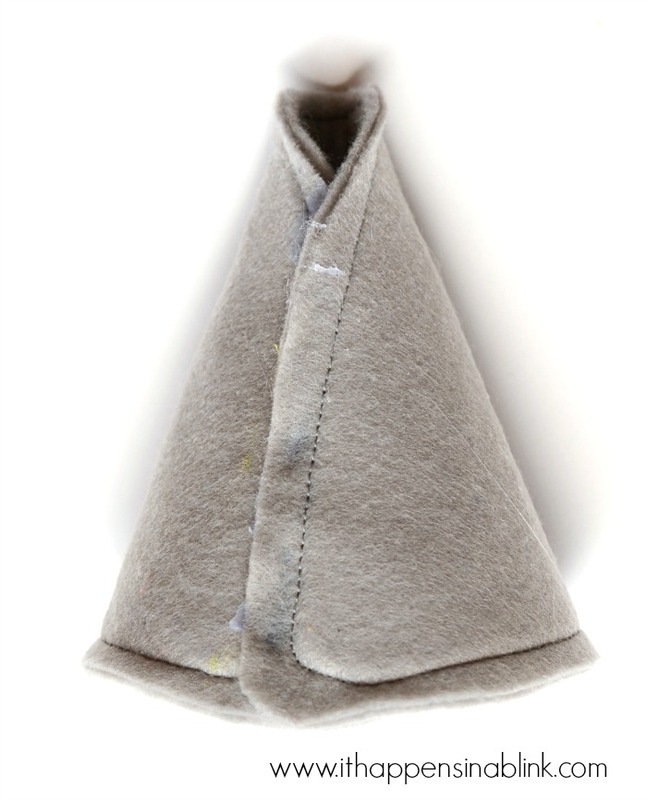 Felt in 2 colors– I purchase felt by the yardage at the fabric store. If you are buying it by the little rectangles like are sold at the craft store, you’ll need 2 pieces of one color and 1 piece of another color. Soft elastic, at least 12 inches- I buy mine from Pick Your Plum in bulk when they have it available. It’s the soft elastic like crafters use for headbands. Print off the Hat Felt Pattern and the Hat Peltex Pattern. The Hat Peltex Pattern will be slightly smaller. 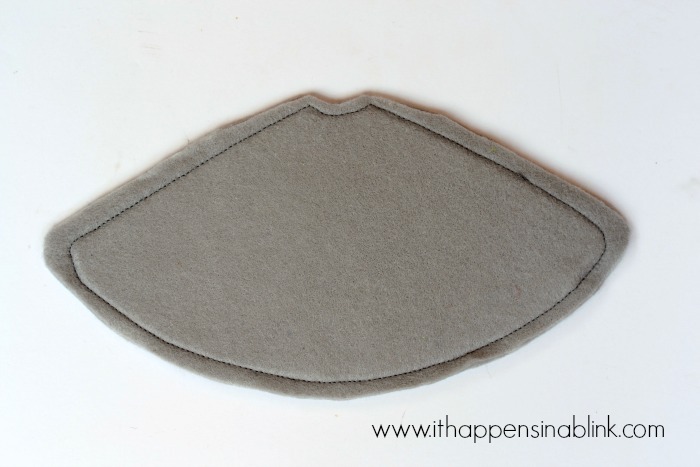 Cut two pieces of fabric from the Hat Felt Pattern and one piece of Peltex from the Hat Peltex Pattern. Following the manufacturer’s instructions, iron the Peltex to the wrong side of one of the felt hat pieces. Pin the other felt hat piece over the Peltex-covered one. 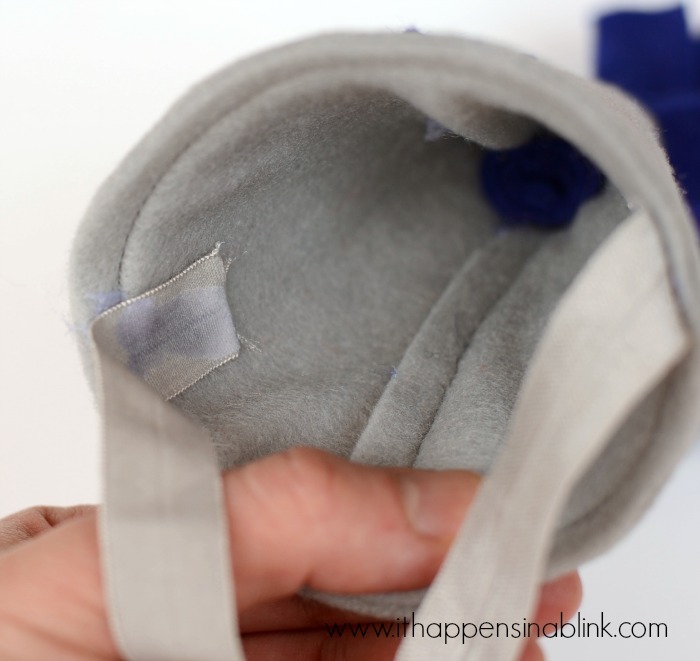 Sew around the edge of the hat, using the Peltex as a guide. 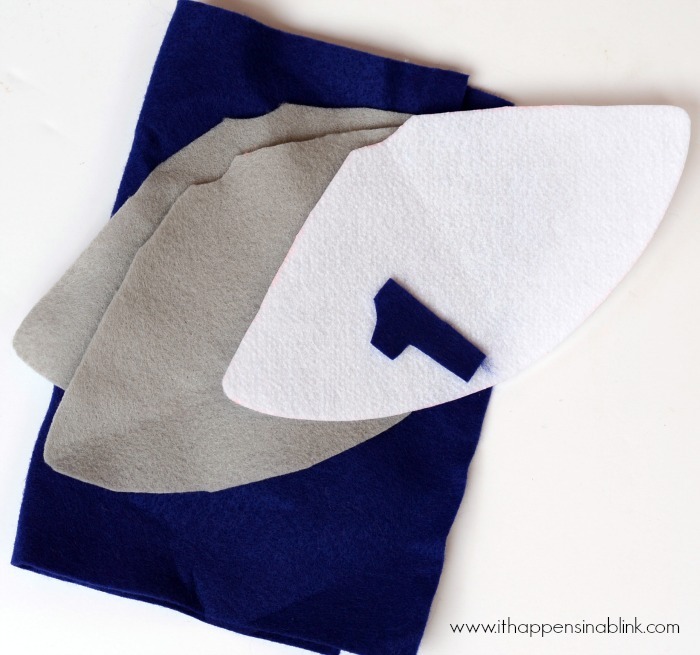 The Peltex is thick enough to feel through the fabric while sewing. 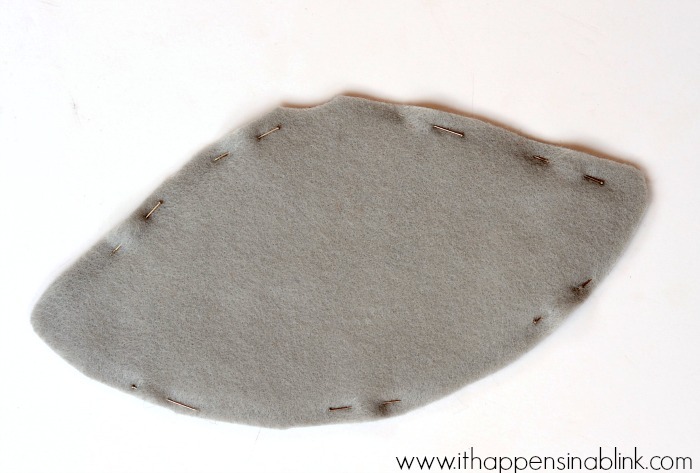 Do not sew over the Peltex, just through the fabric layers using the Peltex edge as a guide. 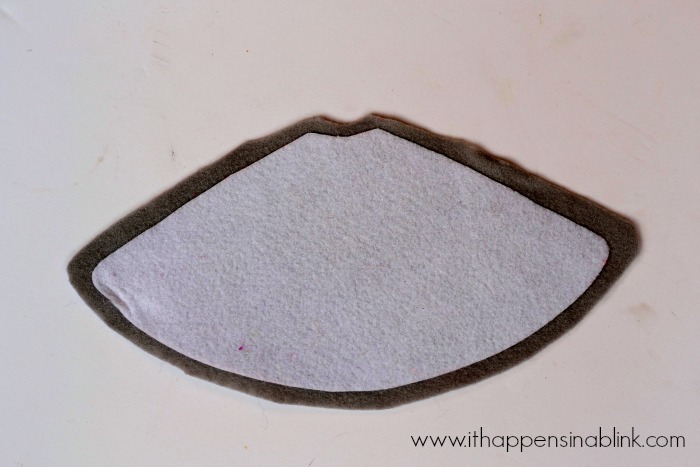 ***Alternately, for those who do not sew, you could hot glue the edges in this step. Wrap the hat edges around and overlap one with the other. Do not close the hole at the top all the way. Hot glue the edge in place. 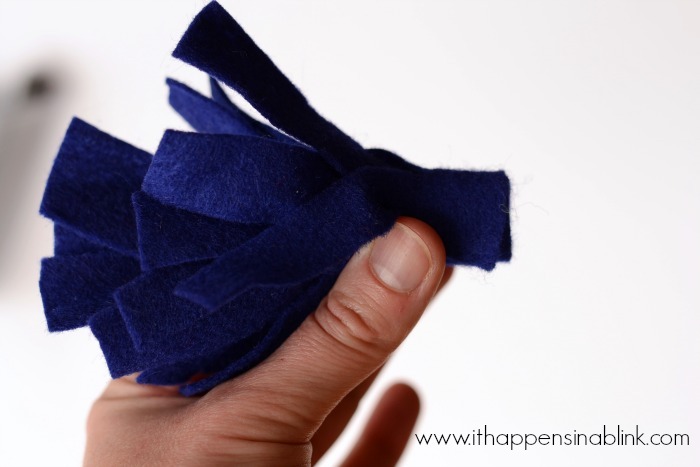 Cut a 11″ by 2″ rectangle from the coordinating felt color. Cut slits all the way across the strip. Roll the strip up and hot glue closed. 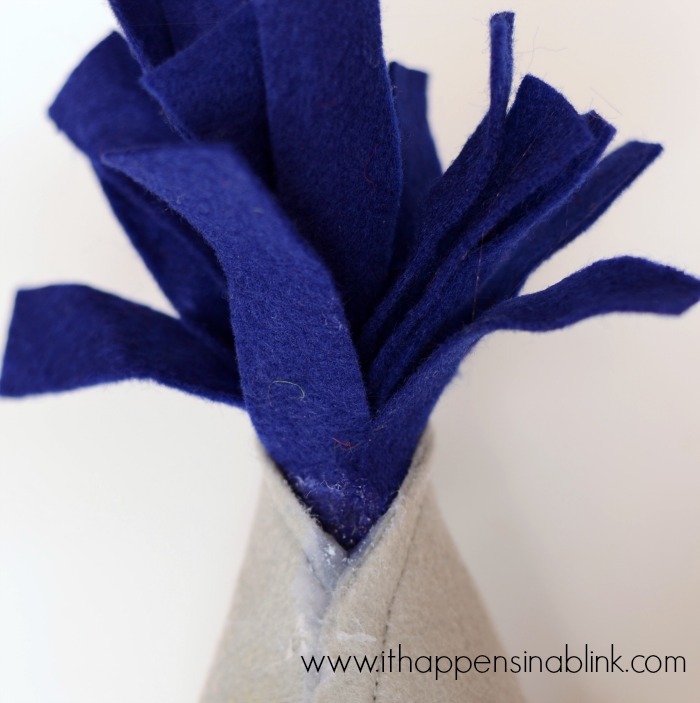 Insert the tassel in the top hole and hot glue in place. 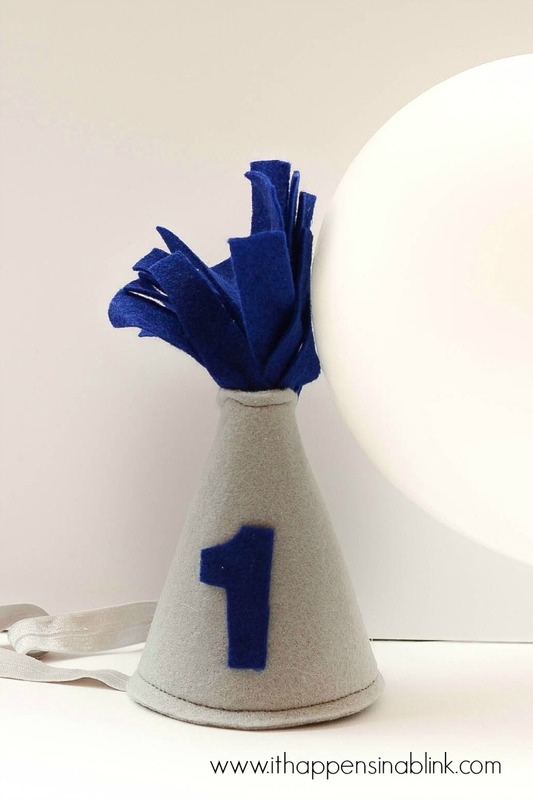 Print off the “1” number template. Cut it out in the coordinating fabric. Hot glue on the front of the hat. 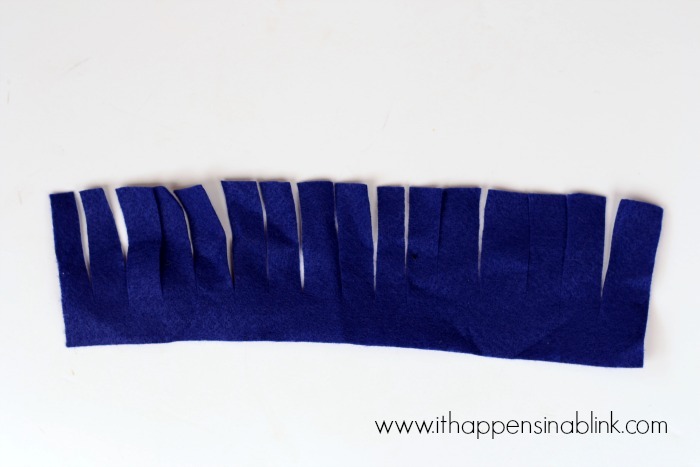 If you have your baby nearby, measure to see how much elastic that you will need for the band. If not, I would use the entire 12″. Hot glue the ends on the inside of the hat. Please only use this tutorial for personal purposes with credit to ItHappensinaBlink.com. Please do not sell hats made from this tutorial.